BREXIT MEANS BREXIT. Aware and proud of her grandparents' origins in Poland, Edwina has always been pro-European. In June 1994 she was Conservative MEP candidate in Bedfordshire and Milton Keynes, but the Conservatives lost all but 18 seats. From 1995-97 she chaired the Conservative Group for Europe, and 1995-99 was Vice-chairman of the all-party European Movement alongside Peter Mandelson and Emma Nicholson. She was joint Chair of FET, the Future of Europe Trust which helped train young politicians in the newly-democratised countries of the former Warsaw Pact. She visited Poland (three times), Hungary, Bosnia, Romania, Estonia, Germany and Russia, and hosted several international conferences at Lancaster House, London. During the European Referendum Edwina campaigned for Remain. However, "Brexit means Brexit," she says. "I agree with Theresa May on this. The government's job is to get the best deal possible for the UK. The dire predictions of collapse of the UK economy have so far been wide of the mark. And I am optimistic that, once the transition is behind us, we will make the most of our freedom outside the EU but in close co-operation with our neighbours and business partners." 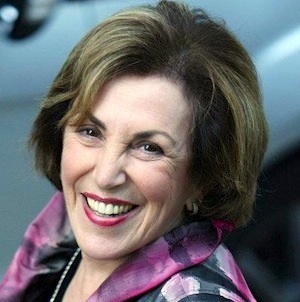 Edwina Currie was a Birmingham City Councillor (1975-86) and Chairman of the Central Birmingham Health Authority and served as MP for South Derbyshire from 1983 to 1997. She entered Parliament on the same day as Tony Blair, Gordon Brown and Jeremy Corbyn. One of only 23 women in the House on election (out of 656 Members), she quickly became one of the nation’s best-known MPs. In December 1988, Edwina was runner-up to Mrs Thatcher in BBC Radio 4's "Woman of the Year" poll; the following year she came 6th in the same poll (between Mother Theresa and Raisa Gorbachev). In 1990 she was voted "Speaker of the Year" by the Association of Speakers' Clubs and in 1994 was chosen "Campaigner of the Year" in the Spectator Parliamentarian of the Year Awards for her work on gay equality. From 1985-86, Edwina was PPS (aide) to the Secretary of State for Education and Science, Sir Keith Joseph; from 1986-88 she was a government Minister at the Department of Health and Social Security (later the Department of Health) under Margaret Thatcher, with responsibility for campaigns on women’s health and the promotion of healthier lifestyles. Her greatest achievement was bringing in nationwide screening systems for breast cancer and for cervical cancer, with associated treatment services, all free of charge on the National Health Service, making Britain the first in the world to have both. Independent research has shown that many thousands of women’s lives have been saved in the years since. Her roles also included membership of the first UK team to tackle HIV/AIDS in 1986, and the introduction of the triple vaccine MMR (measles, mumps rubella) for children in 1988. She was also the first UK health minister to take a close interest in End of Life, sending out the first circular to the NHS requiring them to work closely with local hospices and to pay for beds used. Edwina wrote her first book, “Life Lines – Politics and Health 1986-88” about these busy years of achievement. It was published by Sidgwick and Jackson in 1989. Three of her novels are set in Parliament – see Writing page. In December 1988 Edwina resigned from government after warning about food safety in eggs. Mrs Thatcher’s successor as Prime Minister, John Major, invited her to rejoin the government in 1992 as a Minister of State, but she declined and thereafter worked from the backbenches. Interview 8th May 2013 ahead of the 25th Anniversary of the Salmonella Crisis. A supporter of Stonewall and of TORCHE (the Tory Campaign for Homosexual Equality), Edwina took the lead in proposing legislation to give equal rights of consent to gay men, calling a debate in February 1994, the first in the House of Commons in 25 years. The House voted to reduce the age of consent for gays in Britain, which had been 21, to 18; it has since been lowered to 16, the same as other groups in British society. Edwina is delighted at the substantial improvements in the rights of her fellow citizens which have occurred in recent years, and welcomes the change since the prejudice which greeted that first debate in 1994. Other campaigns included support for our military personnel who returned from the first Gulf War in Iraq in 1991 suffering from Gulf War Syndrome. She set up a multi-agency team with the Royal British Legion, SSAFA, Combat Stress and others, and successfully pressed Ministers to accept responsibility and to compensate the victims and their families. During the 1990s she championed the cause of people with learning disabilities who had been abused, following a famous case in her constituency which resulted in the trial and imprisonment of a care worker. To help witnesses and victims she set up a registered charity, VOICE UK, with funding from the Department of Health and the Home Office. She lost her seat in the 1997 General Election. Thus were completed 22 years of elected public service. Edwina speaking at University of Warwick during a debate 21 Oct 2016. Read Edwina's article in "The Guide To Later Life"
European Movement 1995 - Vice Chairmen L to R: Sir Menzies Campbell MP, Edwina Currie MP, Prof Alan Watson, Giles Radice MP, Peter Mandelson MP, Emma Nicholson MP. "Podcast: Edwina Currie on MPs' pay - 8 Dec 13"
Could local election misery spell doom for Theresa May just as it did for Thatcher? 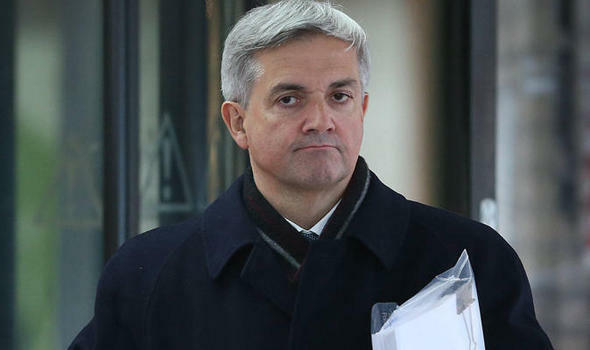 The Bank of England's menopausal moment is a lesson in how not to use metaphors. Corridors of power: what it's really like to be a woman in Westminster. Your browser does not support the video tag. You should update this browser to the latest version. "The Age of Consent Debate"